The Office of Academic Affairs welcomes two new assistant directors to the University’s extended campus network. 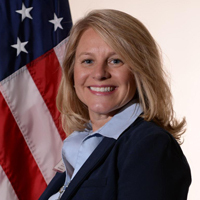 Susan Schultz has been appointed director of Webster’s Scott Air Force Base campus location, and Jennifer Nord has been named assistant director for Webster’s Tinker Air Force Base campus location. They will be the primary points of contact for their respective campuses. Webster University is pleased to announce that Brig. Gen. Mike Callan, USAF (Ret.) has been named Special Assistant to the Provost for Military Affairs and Director, Scott AFB. Sean Coleman, Captain, USN (Ret. ), has been appointed Associate Vice President for U.S. Military Campuses and Government Programs and Regional Director – National Capital Region.